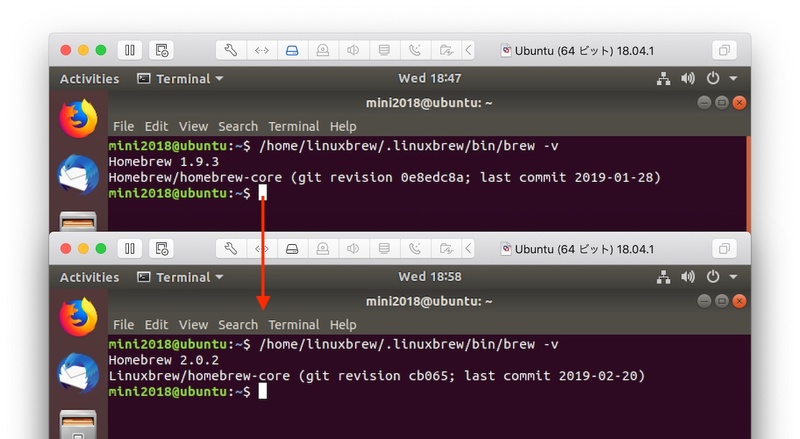 Homebrewへの自動マージに対応したLinux用パッケージマネージャー「Linuxbrew v1.9.4」がリリース。 | AAPL Ch.  Linuxbrew 1.9.4 has been released! Linuxbrew/brew has been merged into Homebrew/brew! Existing installations of Linuxbrew will be automatically migrated to Homebrew. Linuxbrew/brew will no longer be updated. See the Homebrew documentation of Linuxbrew and the Homebrew 2.0.0 blog post.